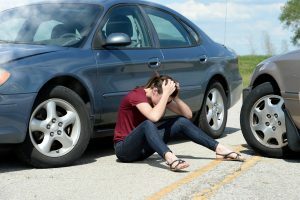 In recent years the focus has been on athletic brain injuries, and many have forgotten or overlooked the seriousness that auto accidents can have on the body and most specifically the brain. Here’s a quick fact, traumatic brain injury (TBI) is the leading cause of disability and death in the United States, and car accidents are the leading cause of TBI. Auto accidents can cause a variety of internal and external injuries to both the driver and passengers. Traumatic brain injuries occur when the brain violently changes direction in the skull. This shift can cause life-threatening damage to those who are involved in an accident. When a car comes to a sudden stop or crashes into something, the brain can collide with bones in the skull and cause internal bleeding or injury. Unfortunately, some health professionals may not spot a brain injury during an examination, and it can go undiagnosed. *Please note that these symptoms should be discussed with a doctor. If you have any of thee symptoms after a car accident, contact a healthcare professional to receive an evaluation. In many case the accident wasn’t a result of wrongdoing on the part of the injured. There are several reasons that auto accidents and TBI injuries occur. Automobile manufacturers and other drivers could be to blame. Injuries sustained in a car accident and their severity is based off of a vehicle’s crashworthiness. If a car manufacturer fails to ensure the safety of the car, its passengers, and its parts, they may be held responsible for injuries. Issues with car parts can range from defective seatbelts, faulty windows, child safety feature failures, defective tires, differing glass types, and poorly designed roofs. And, when these types of defects are present during and accident, they can cause injuries to be more severe. In addition, negligent drivers can be the cause of traumatic accidents. Speeders, distracted drivers, and even commercial vehicles can pose a threat to drivers whether on commute to work, a family outing, or an errand run. That’s why you need someone on your side to fight for your rights and get you fair compensation.